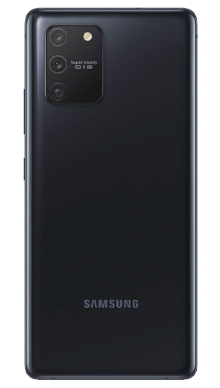 The smallest of the new Samsung handsets, the S10e is filled with features but packaged in a smaller handset than the other two in the S10 stable. 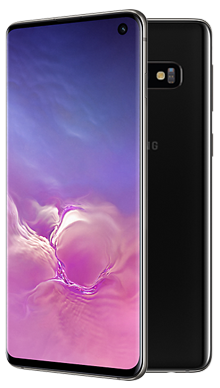 Select your desired options to find the best Samsung Galaxy S10e deals for you. With this release came three Samsung Galaxy S10 offering and the company knows how to stir up the media to make sure that their launch events are enormous and well populated. Samsung has been a market leader for many years and is well aware of what their customer want from a mobile. They have a knack for playing to the crowd perfectly ensuring that every handset is well received and ripe for a stack of orders from the moment it hits the market. The Samsung Galaxy S10e is no exception and is flying off the shelves. 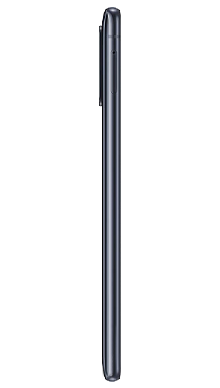 The design is something that Samsung does well, and the Samsung Galaxy S10e has a classic Galaxy look. The screens are getting bigger, and the bezels are getting smaller as the infinity screen gains in popularity and the S10e is an excellent example of an all screen handset. This is a stunning glass and aluminium offering that features Corning Gorilla Glass 5, and the display is stunning in HDR10. The size makes it perfect to use with one hand, and it has the weight and feel of a really high-end phone which of course is excellent. Turning the phone over you will see the back is flawless and comes in whatever colour of handset you have chosen. As usual, Samsung is offering more than one colourway with this phone. Their logo features almost across the middle sitting just towards the top end slightly and then you have the camera arrangement above that. This handset features two lenses and a LED flash and this time they are in a line across the back which looks really good. The front camera is perhaps one of the neatest we have seen, and across the whole S10 range you will notice just the tiniest of ‘punch-hole’ cameras that don’t need any ugly bezelling around it. This is the baby of the three handsets, and it is a nice 5.8 inches which features 1080x2280 resolution, 522PPI and aspect ratio of 19:9. The display is a Super AMOLED and entirely perfect for a range of activities from streaming movies or playing mobile games which is becoming increasingly popular. A robust handset that comes with an IP68 rating which offers you protection against dirt and water so that your handset will stand up to daily life. It has been a long time since we saw a Samsung with poor audio, so as expected the Samsung Galaxy S10e is perfect. They always nail the stereo speakers which means you can listen to music on loudspeaker or chat handset free and get a totally perfect performance. There is a standard 3.5m headphone jack which will please many users who love their wired headphones. On the back of the handset is the dual camera set up which in this case features a 12 MP, f/1.5-2.4, 26mm (wide), 1/2.55", 1.4µm, Dual Pixel PDAF, OIS and 16 MP, f/2.2, 12mm (ultrawide) which combine neatly with the onboard software to offer a super photo performance that you will love. Sitting on the front is the 10 MP, f/1.9, Dual Pixel PDAF, Dual video call, Auto-HDR lens which is ideal for capturing you and all your friends. The back cameras can record video in 2160p@60fps, 1080p@240fps, 720p@960fps, HDR, whereas the front does it in 2160p@30fps, 1080p@30fps. This is a stunning set up with a lot to offer. 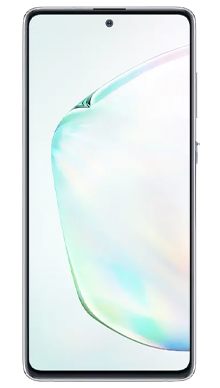 So with Samsung, you can usually pick the hardware they will choose because they have their favourites and they always equip the phone well so in the Samsung Galaxy S10e you will find Octa-core with Exynos 9820/Snapdragon 855 giving a fast performance that will handle all you choose to throw at it. Of course, the handset is an Android offering, so the latest version of Android 9 Pie is what you will find when you unwrap the handset, and of course, there is the proprietary skin over the top. 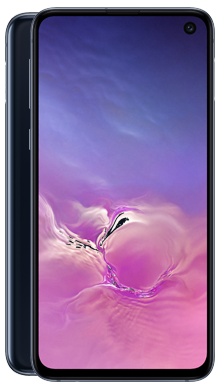 There is only one choice of memory, but that is a decent 6GB of RAM and 128GB storage and is customary with Samsung a removable SD card which gives you the option to expand the storage with up to 512GB which should be plenty enough for most people. The battery supporting the set up is a valuable 3100mAh, and this means you can go out for a full day and still have charge when you get back to the wireless charging point later that night.